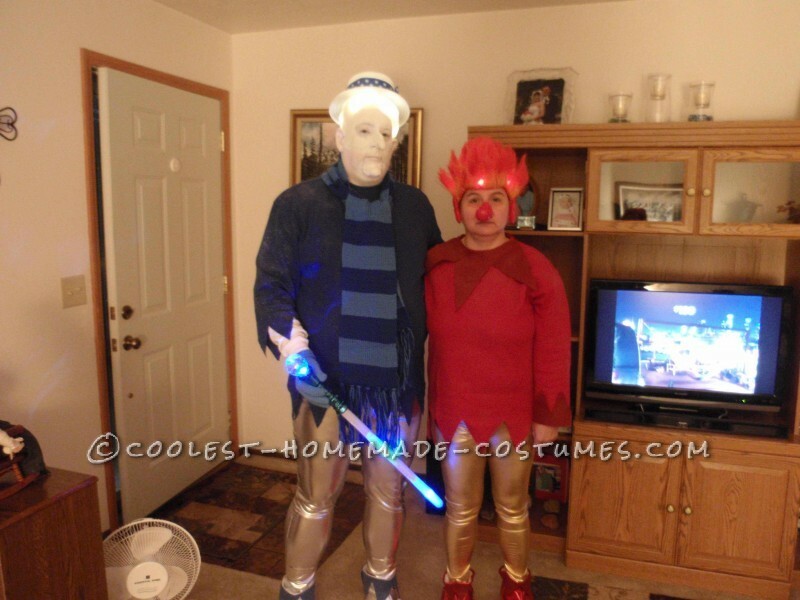 Much time was spent to find the right pieces to recreate the timeless characters, Heat Miser and Snow Miser couple Halloween costume from The Year Without A Santa Clause. We settled on shinny spandex pants at the base and found red and blue thermal shirts for tops. The tops were appropriately cut and embellishes, then sprayed with glitter. 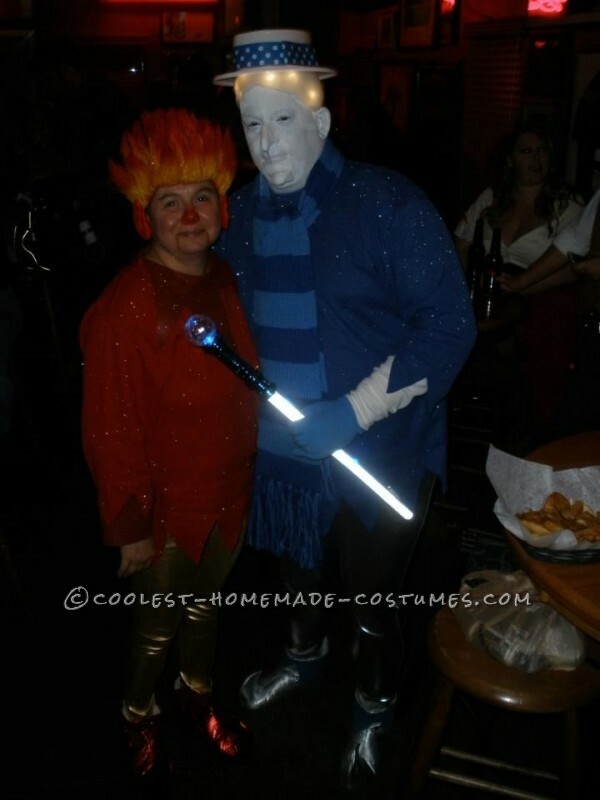 The Heat Miser’s hair was a crazy red wig painted with yellow hilights and adorned with red flashing LEDs. 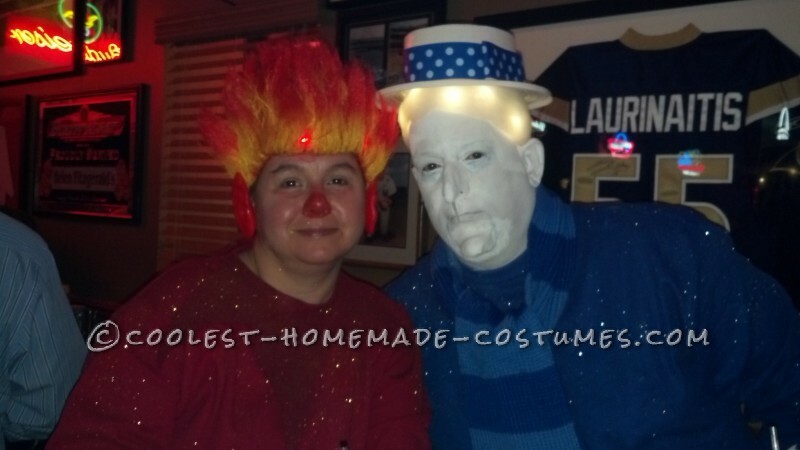 The Snow Miser’s ice hair was created using silicone caulk put in water then shaped over a styrofoam wig head. A thin layer was laid and LED’s added then another layer of caulk. It smells bad and needs space and a few days to cure. The hat was purchased with the headband made on the computer and printed. 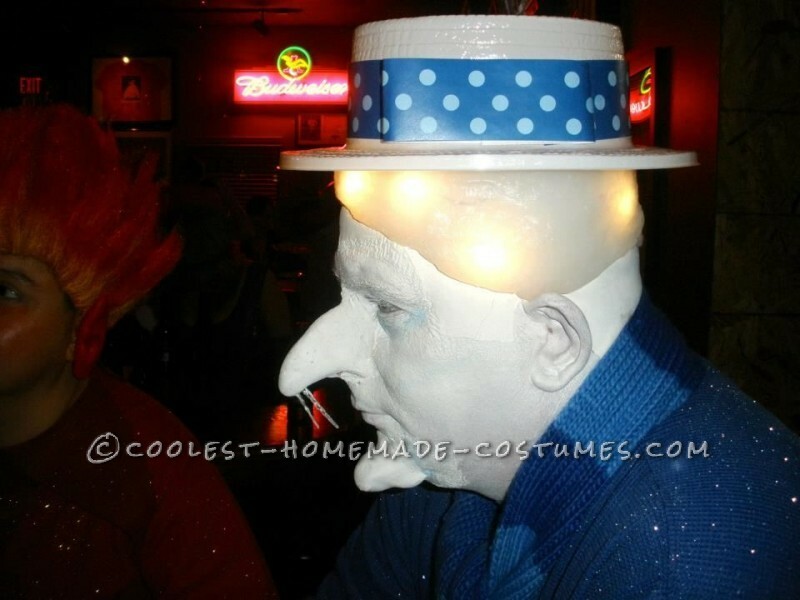 A witch nose was purchased with plastic icicles inserted. A witch chin was added and my face was painted with Clown White greasepaint. Finally a flashing wand was purchased and I replaced all the lights with blue. The costumes were a tremendous hit. Everyone wanted a picture with us. Enjoy!